Born in 1974, Peter Marigold’s obsession with design started at a young age. As a child he collected unusual trinkets and found objects into a box and used them to construct models. Analysing the way things are formed and how colours interact with their surrounding environment is a fascination that has remained with him. He studied sculpture at Central St Martins in London and went on to work in theatrical and event scenography. In 2004 he returned to education when he gained a place on the MA Design Products course at the RCA. 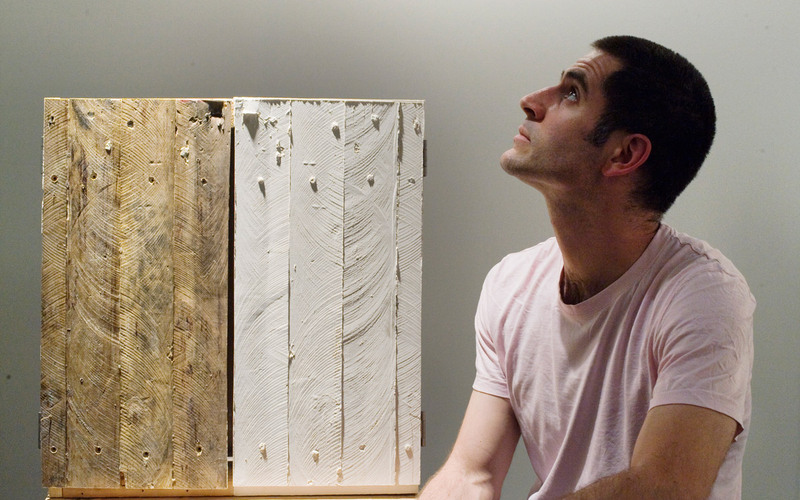 He was tutored by Ron Arad and since his graduation in 2006 has focused almost entirely on furniture design. As a habitual collector, Peter’s work is often concerned with storage and the display of objects. In 2008, he designed a display system for Paul Smith’s A/W 2008 menswear collection in his Milan showroom and also exhibited his shelving designs at The British Design Council’s show Great Brits in Milan. His work has also been exhibited at MoMA in New York, Design Miami, and The Design Museum in London. Marigold began his collaboration with SCP with the launch of the SUM shelves in 2009. More recently, Peter created the Galvanized collection as part of SCP Editions, launched in Milan 2016.